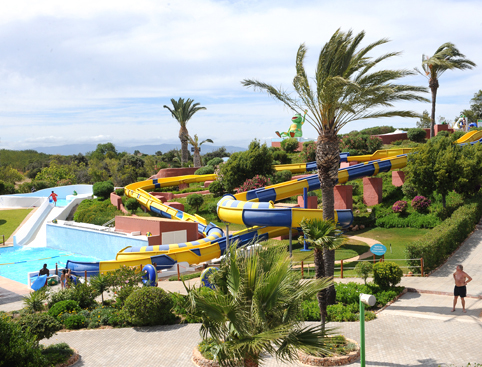 Make a splash at Aqualand Algarve – located only 15 minutes from Albufeira! 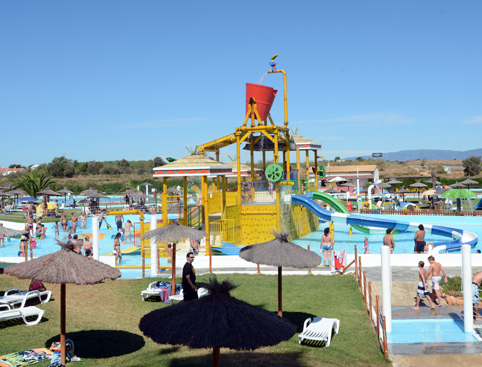 You may visit Aqualand Algarve on or after the date you specify when making your booking, until the end of that year (see Ticket Info for season opening times). Don’t Miss: White knuckle rides to delight even the most jaded thrill seeker! 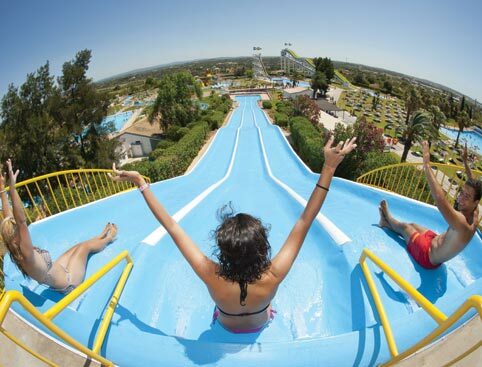 Grab your cossie and head to Aqualand Algarve, packed with fun rides for little ones, fast and furious attractions for thrill seekers and pretty areas to sunbathe, relax and work on your tan! Whether you’re after thrills and spills, family fun or simply a relaxing time away from crowded beaches, there’s something to suit everyone. There are plenty of fun choices for younger visitors, ensuring families of all ages enjoy lots of happy splashing around time! Head to one of the pretty relaxation areas to enjoy a midday siesta and take time out to do what you’ve come on holiday to do – chill out and unwind. 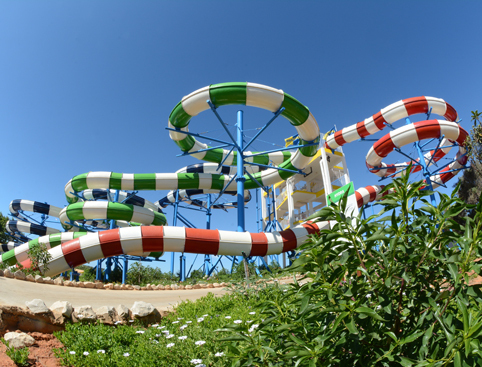 When you want to pick up the pace, Aqualand Algarve is the perfect spot to do it in style! For those who like their rides fast and furious, there are plenty of hair-raising, jaw-clenching rides, slides and attractions to keep thrill seekers happy! The park is open seasonally from June to September. Please see the booking calendar for specific opening days. E.N. 125 – Sítio das Areias Apartado 11 8365-908 ALCANTARILHA, Algarve, Portugal. 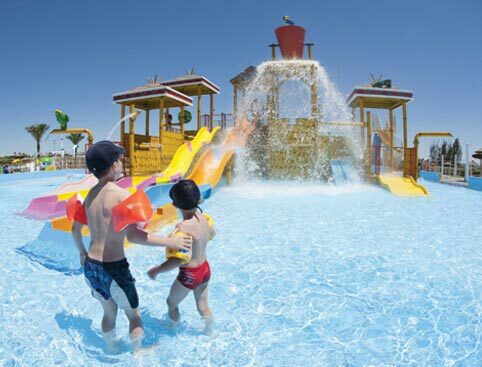 Aqualand Algarve is rated 4.0 out of 5 by 5. Rated 4 out of 5 by Happy people 21 from Great family fun The rides are fab for all ages and although queues look long they go down fairly fast. The sunbed hire is reasonable at €4each we didn't fast pass as the park is small enough to get through all the rides a few times each. The only downside is the length of time you have to queue for food. It took us over an hour to wait for 4 baguettes to be done, so if you can take food in for lunch. Also just check the ride heights against younger children to avoid disappointment, there is a very large pool with slides and tubes for them if the larger rides are too big. Otherwise a fab day out, I have recommended to friends off to the Algarve already. Rated 4 out of 5 by mgh369 from Great day out, very tiring! Had a great time with family of 4. Bought tickets in advance to save on gate prices. Went end of August and hardly any queues but guess this wouldn't be the same high season. Take a picnic as food prices are high and ice creams twice regular price. Rated 5 out of 5 by Anonymous from Rides not too daunting for a group of 'chickens' and no long queues. Perfect for us.